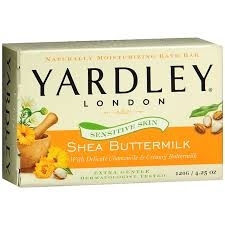 Delightfully creamy and extra gentle for sensitive skin. A perfect blend of creamy ingredients, clinically tested to be gentle on skin. This delightful bar features shea butter, buttermilk proteins and delicate chamomile blossoms to gently cleanse your skin and leave you feeling soft and beautiful.